Equipped with SSDs, the fastest 3.1 Gen 2 USB drives you can buy today are capable of 800 MB/s data transfers—many are bus-powered, too. But, most desktop computers (even new models) include generations-old USB interfaces that will throttle that performance and may not offer adequate power to allow bus-powered drives to operate. 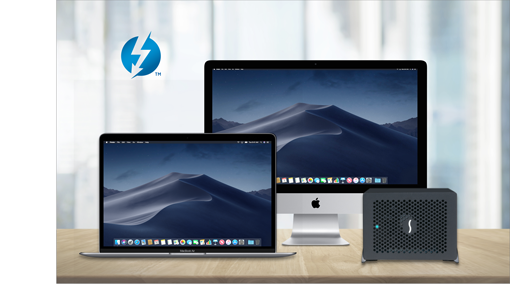 Break through the bottleneck—install Sonnet’s Allegro™ USB-C 4-Port PCIe card in your Mac Pro® tower, Windows® PC, or Linux(1) computer with PCIe slots; or Thunderbolt™ to PCIe card expansion system to support your fast USB drives at maximum performance. Featuring two 10Gbps USB 3.1 Gen 2 controllers and four USB-C ports, the Allegro USB-C 4-Port PCIe card supports data transfers at up to twice as fast as USB 3.0 and USB 3.1 Gen 1 ports are capable. With two controllers onboard, the Allegro card speeds data transfers between connected drives, and enables your computer to load and off-load data more quickly. Unlike other 4-port USB cards (simple hubs that split a single USB controller’s bandwidth between all four ports), Sonnet’s Allegro USB-C 4-Port PCIe computer card supports data transfers from a single USB 3.1 Gen 2 SSD RAID device at up to 800 MB/s— compared to using a USB 3.1 Gen 1 or USB 3.0 adapter card, transfers complete in half the time! 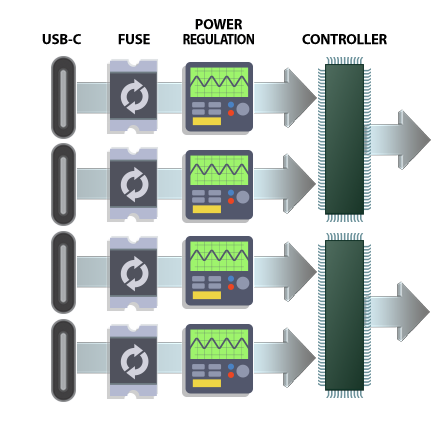 Exploiting its dual controllers design, it’s possible to simultaneously transfer data to two connected drives at up to 660 MB/s each. With four drives connected, the four ports support simultaneous 300 MB/s transfers! The Allegro card provides 7.5W of power through each of its ports, supporting USB bus-powered hard drives, and SSDs without the need to connect an additional AC power adapter. Unlike ordinary USB-C adapter cards, the Allegro USB-C 4-Port PCIe was designed with a focus on intelligent power delivery and management for powering attached drives through its ports. Ordinary USB-C cards need a separate power plug connection. Sonnet’s 4-port USB-C card gets the power required to operate connected drives from the slot it’s installed in. 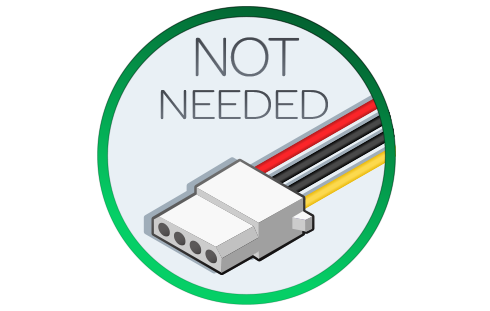 This enables you to install the Sonnet card in any compatible computer or Thunderbolt expansion chassis regardless of it having extra power connectors available. Ordinary USB-C cards can deliver poor power regulation, allowing a connected drive to be forced off (auto-disconnected) when an additional drive is connected or disconnected. The Allegro card protects each port from power glitches on adjacent ports, preventing auto-disconnects of already-connected drives. Unlike ordinary USB-C cards, the Allegro card features a resettable fuse on each port, protecting both card and computer should a cable or peripheral fail. Resetting a tripped fuse is simple—just shut down and restart your computer. Got a Thunderbolt connection, but no PCIe slot? The Allegro USB-C 4-Port PCIe card is ideal for use in Sonnet’s Thunderbolt 2 and Thunderbolt 3 to PCIe card expansion systems, including Echo Express™ and xMac™ desktop and rackmount chassis. Now you can add four SuperSpeed+ USB-C ports to your computer without expansion card slots.. Installing an Allegro USB-C 4-Port PCIe card in a multi-slot Thunderbolt 2 or Thunderbolt 3 to PCIe card expansion chassis is a great way to inexpensively add four SuperSpeed+ USB-C ports to your computer. The Allegro USB-C 4-Port PCIe card features hot-pluggable and hot-swappable device connection support with automatic device configuration, and works with all USB-IF compliant USB peripherals. 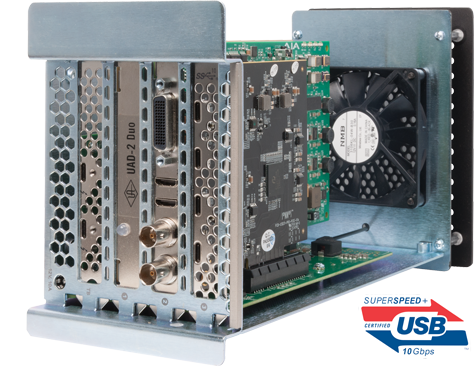 This full-height Sonnet card installs easily into any PCIe x4 (mechanical) or larger slot. 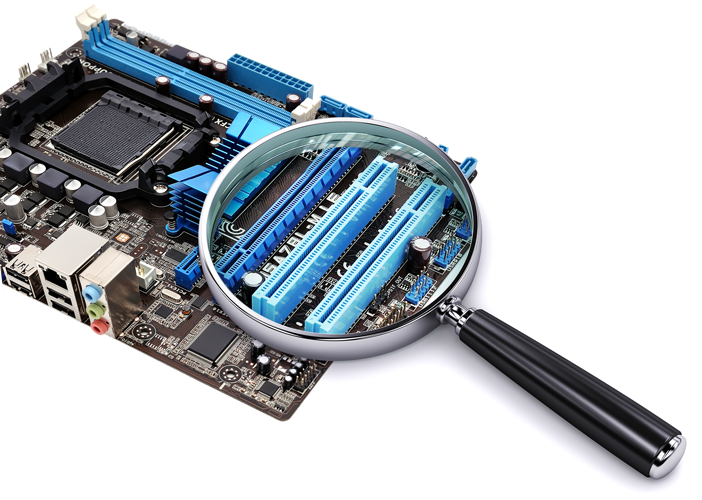 Computer hardware shown for illustration purposes; items sold separately. Linux supports only 5Gb transfer rate as of 4.12.13 Kernel. Compatible in Mac Pro 3,1 PCIe 1.1 slot; performance may be limited by slot’s bandwidth. macOS erroneously reports a 5Gbps connection when connected at 10Gbps. Not compatible with Thunderbolt 1 PCIe Expansion systems.